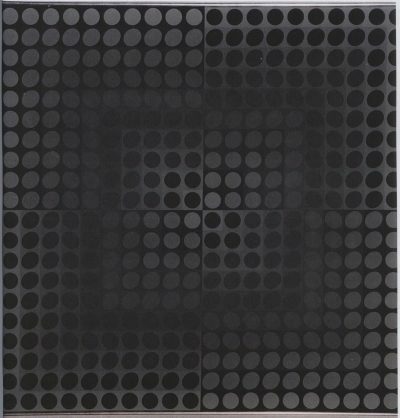 Hungarian artist Victor Vasarely was one of the leaders of the Op Art movement in Paris. 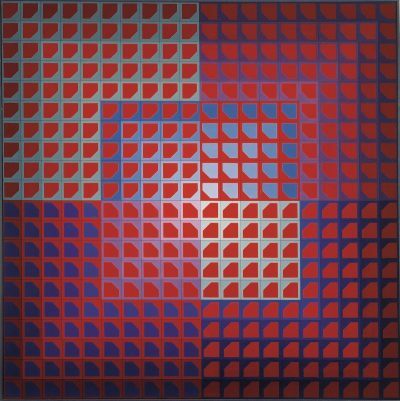 Like Josef Albers, Vasarely was interested in the purity of visual sensation and was totally opposed to the use of narrative in painting. 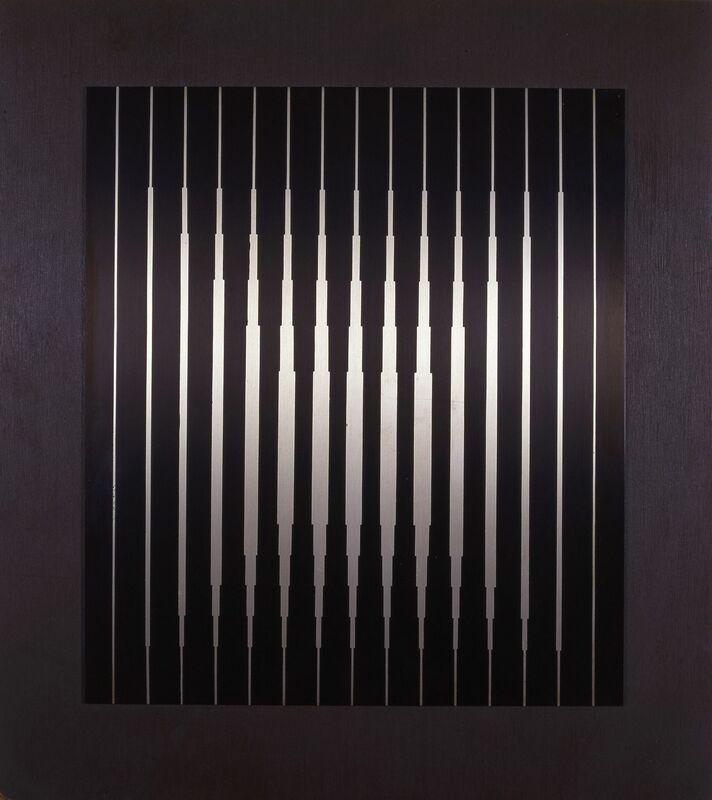 ‘To experience the presence of a work of art is more important than to understand it’ he argued, and he used geometric patterns to create optical ambiguity and disorientation, making the viewer question his or her own perception.